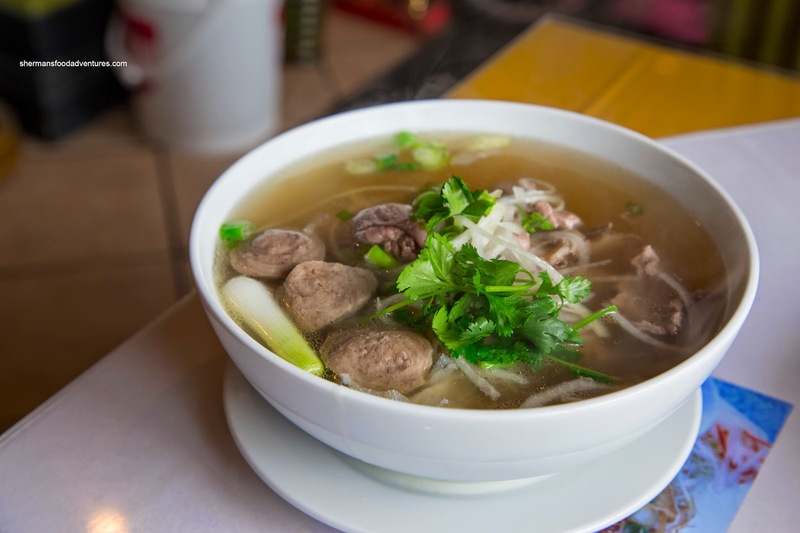 "It's a Pho-kinda day", pronounced Whipping Girl. Hence, the search was on for a Vietnamese joint that we hadn't tried yet. Much easier said than done because there are not many in Vancouver that still remain on the "to do" list. 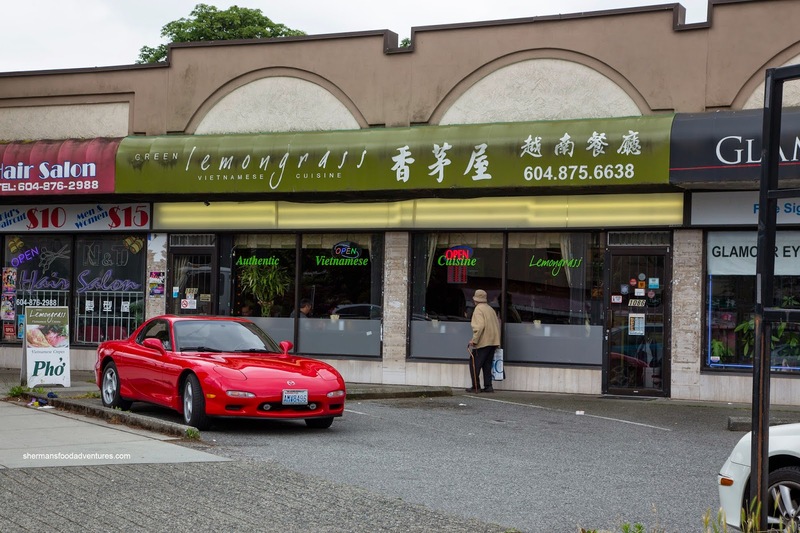 To her surprise, I had not been to Green Lemongrass on Kingsway despite its popularity. Well, the reason for that is simple - I've been to the location in Richmond and came away indifferent. But as I've said time and time again, each location of a chain needs to be judged independently as there are perceivable differences. Well, the first difference was the decor as it was much more inviting than the "house" in Richmond. We decided to share both the Pho Dac Biet and Bun Bo Hue to start. Even though what you see in the picture was the large bowl, there really wasn't much substance to it. Ignoring that fact, the broth itself was clean where it was sweet and slightly aromatic. The noodles were chewy while the meats were fatty and tender. Even before we had a chance to attack the Bun Bo Hue, we could smell the shrimpiness. One sip of the soup and it was a veritable flavour explosion of lemongrass, seafoodiness and spice. 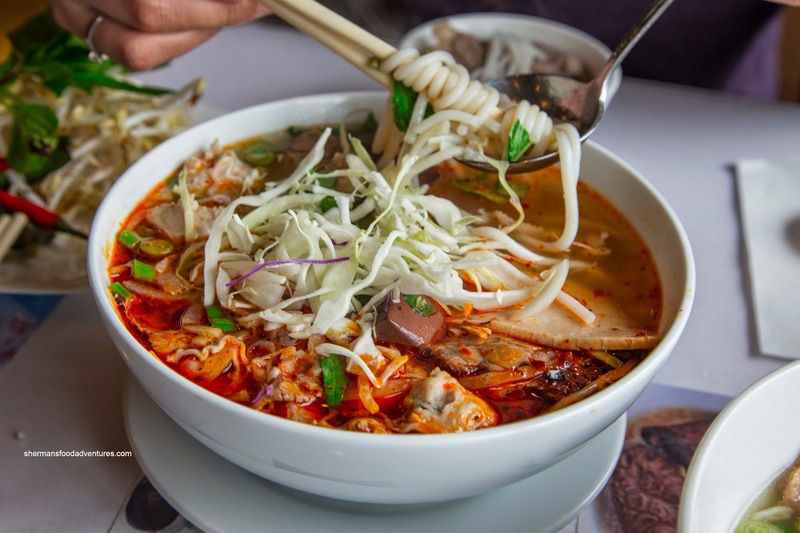 One of the better bun bo hue broths I've had in quite awhile. Again, the amount of noodles was modest as well as the meats. Whipping Girl insisted on ordering the Bo Bia consisting of Asian sausage, jicama, carrots, lettuce, caramelized onions, basil and crushed peanuts wrapped in rice paper. Was it the Asian sausage? I digress... Anyways, I've had this before and yes, it was pretty good this time around. It was tightly wrapped where the ingredients stayed put. The crunch of the fresh veggies was accented by the salty firm sausage and aromatics of the basil. Lastly, we had the Satay Beef and Spring Rolls with rice. We found the beef to be slightly chewy, yet completely saturated with flavour including huge lemongrass hits and smokiness from the char. The chewy rice was a perfect compliment. 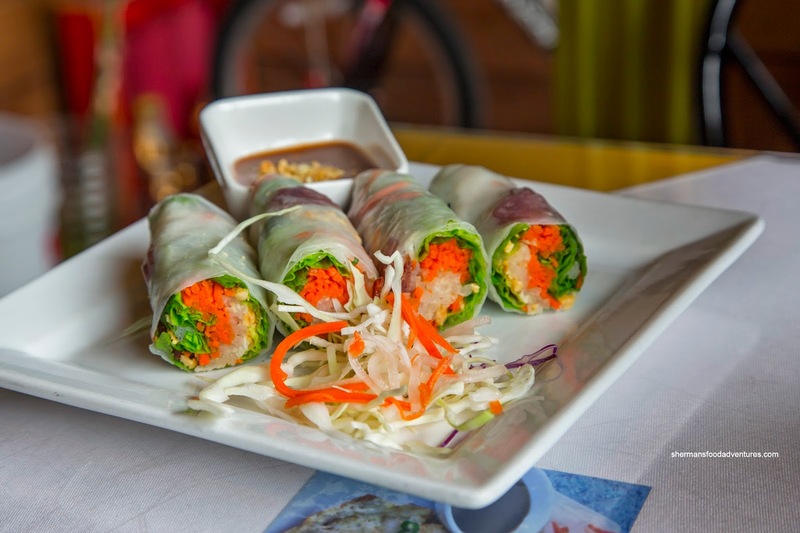 As for the spring rolls, they were a bit greasy and the filling was too loose. However, the rice wrapper was crispy while the filling was well-seasoned. As I've said before, different locations of the same restaurant can offer their own unique experiences. 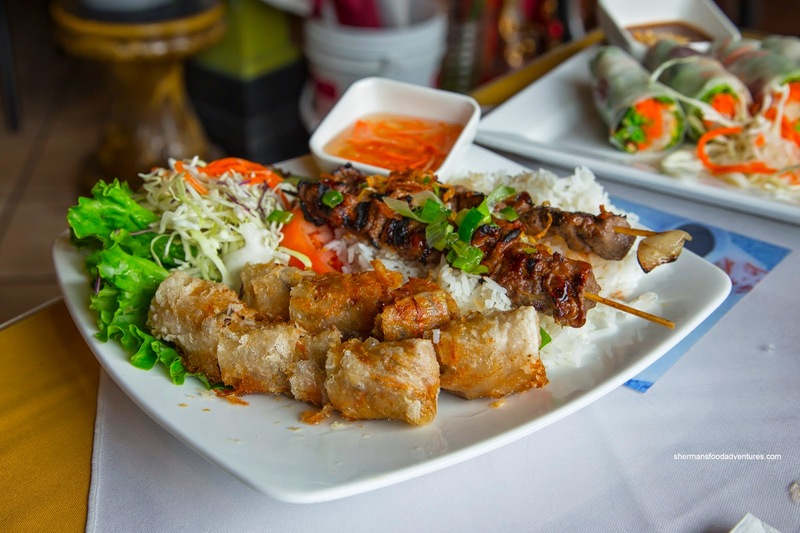 This time around, the Kingsway location of Green Lemongrass outdid the Richmond one. I'm starting to venture to Bun Bo Hue, but so far my first and only bowl was at Thai Son. Not bad, but I have no other reference points, so my next stop will try to be Lemongrass. @ LotusRapper - The BBH at the Green lemongrass is very good. Also, you might find an even slightly better version, IMO, up the street at Cafe Xu Hue (just had some there today - really enjoyed it). Lam Hoa Quan sounds interesting. Like one of my favourites, Mr Red, they also serve Northern style Vietnamese food. I'll have to give LHQ a try sometime soon. I've been to their Richmond location years ago when my car mechanic had his shop right behind the restaurant. It was a long time ago so I don't really recall their foods.